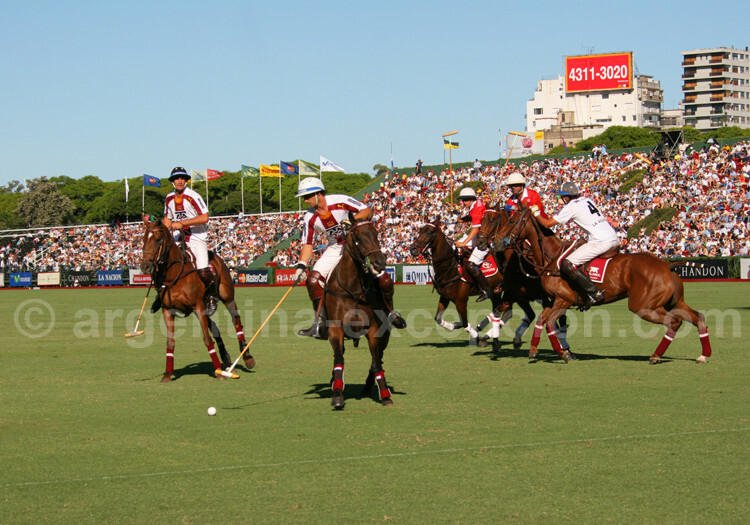 Polo is a collective equestrian sport. A team made up of 4 players equipped with a helmet and a mallet: an attacker, a defender and two centers. 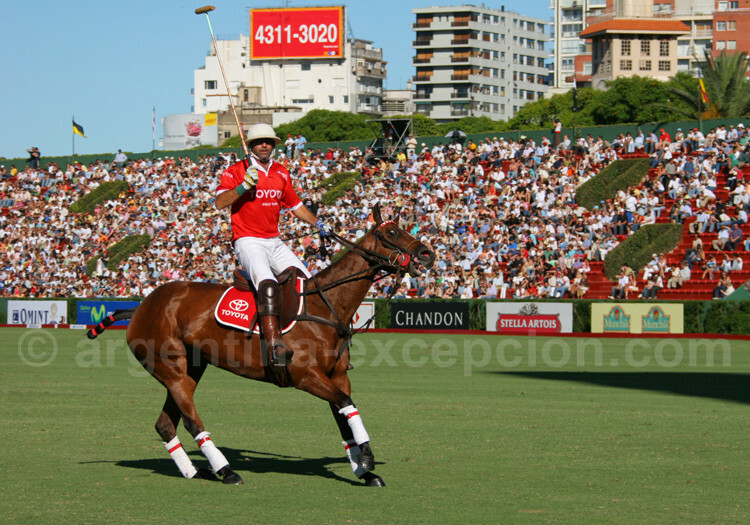 Polo is a collective equestrian sport. A team made up of 4 players equipped with a helmet and a mallet: an attacker, a defender and two centers. The colors of the t-shirts of the two teams must be different. If not, the team with fewer handicaps should change their t-shirts. Horses of any races are allowed but horses called polo ponies are the fastest, most agile and most spirited ones. Horses whose behavior was considered dangerous for the others are excluded. Players change horses several times during a game. 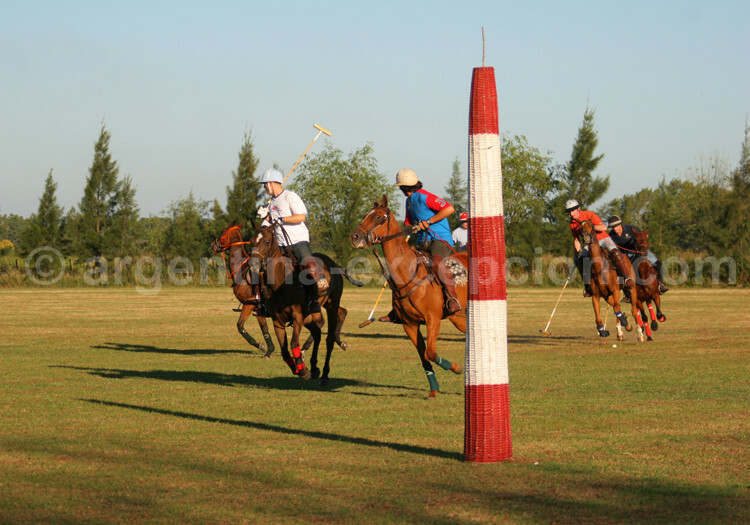 In La Pampa, Argentineans created some sort of polo horse-breeding: crossbreeding the “Creole” race, small-sized, rustic and robust horses, with thoroughbred horses. The main features of a polo horse are docility and speed. Players are given handicap so that the teams have the same possibilities. The handicap system goes from -2 (beginner) to +10 (the best of the world) and you need a minimum 4 for international championships. Each team represents the addition of all the players’ handicaps. The team with the lowest handicap has the initial advantage of the goal. Two teams are brought face to face on a grass soil measuring 275 meters long by 145 meters wide. Players should score goals between the two posts with neither transversal bar nor goalkeeper striking a small wooden or plastic ball with their mallet. At each goal, teams change sides and resume the game from the middle of the field. There are two umpires also riding horses on the field and a judge on the band. 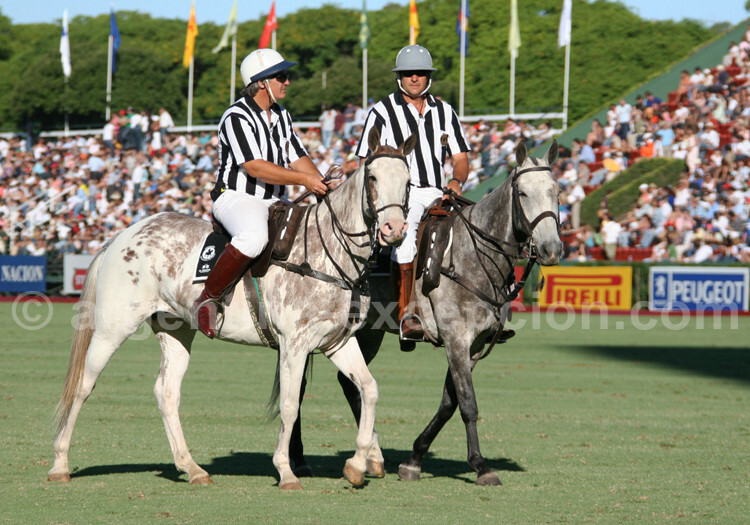 To avoid collision between the horses, it is forbidden to come too close to the line of the ball or its holder, an opposing player can only recover the ball in a parallel line. The game is played in 4 to 8 7-minute periods. The game requires speed, accuracy, strength, strategy and a good game on the players’ side.